Many food entrepreneurs start by offering clients a single product, and then build a full menu and build a restaurant around it. However, for husband and wife Haruo and Cecilia Yamagishi, specializing in cream puffs came after closing their restaurant in 2006. Previously just a dessert in their menu, the cream-filled pastries, Haruo’s recipe, is now the sole offering of their new business: Happy Cream Puff. “Cream puffs are popular in Japan,” shares the couple who saw how trendy the pastry was as a dessert. 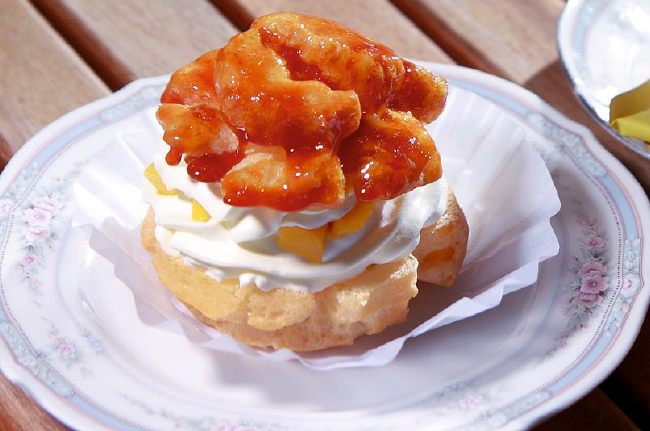 As they grew their business, they came up with different types of cream puffs to offer more variety such as chocolate coated cream puffs to eclairs. “Kami nalang nag-isip ng variation,” explains Cecilia.